As the Cleveland, OH Promise Walk for Preeclampsia Coordinator since 2012, Brandi makes it a point to cheer on her fellow walk coordinators equally across the country and celebrate their accomplishments with them. She serves as a beacon of positivity in all the things that she does in her Promise Walk and for other volunteers. She is gratified to know that the work she does as a volunteer saves lives of moms and their babies. My name is Brandi Bigelow. I am a 31-year-old resident of Cleveland, Ohio. I've been happily married for 10 years to my loving husband, Glen. I am a full-time Mommy and home-school teacher to my four amazing children and one on the way. I'm very active in my home church. God is not just the biggest part of my life, He is my life. His hand has kept me through so much and I praise Him every day for it! I am also very passionate about all things preeclampsia. I am a four-time survivor of this disease, with three of my four children spending time in the NICU because of it. I want to do all I can to help find a cause and cure for this cruel condition. This is my fifth year coordinating the Cleveland, Ohio Promise Walk for Preeclampsia alongside my husband. It is truly a labor of love. The first time I experienced preeclampsia, for the most part I had never heard of it. I read a small blurb in a book about it and they made it sound like no big deal. I was faithful to my prenatal appointments and yet not one doctor or nurse ever mentioned that such a thing existed. I was seen in a small hospital and their lack of knowledge nearly killed me. My blood pressure was rising, I was swollen head to toe, the protein in my urine was rising each appointment, I was complaining of headaches and pain in my side, and all they ever told me when I asked about these things was "We're just watching you. You're fine. We'd let you know if something was wrong." I was in and out of the hospital with every textbook symptom of preeclampsia and always released without a word said to me. The last time I was admitted before being delivered, my lab work was all off, my blood pressure was high, I had massive amounts of protein in my urine, and I was told I was just "anxious to have the baby." I was discharged. I laid on my sister’s bathroom floor in pain while my husband was out of town defending his thesis and my sister begged for me to go to the hospital... my reply... "They said I was fine. I'll feel dumb to go in now." Two days later at my next prenatal visit, my blood pressure was high, my urine was brown, my vision was distorted... and they finally decided to induce me. I was eventually diagnosed with severe preeclampsia, put on magnesium, delivered, and CARELESSLY discharged sicker than I was when I was first admitted! A doctor I had never seen before walked in my room, stood at the door, and asked me if I wanted to go home; he never checked my labs or ME, and sent me home at nearly 9 pm. For two days I thought I was dying at home, but still TRUSTED that the doctors knew what they were doing. I was wrong, because I was dying, and I could have died in my own home if my newborn hadn't had a jaundice check. I was turning yellow. I couldn't breathe. I could hardly hold my five-pound newborn. I still believed this was "normal" recovery after childbirth. My husband had to practically carry me to the car as I refused to miss our daughter's first appointment. By the grace of God, they handled Saturday appointments through the ER. Once the staff in the ER saw me, they BEGGED me to be checked out myself. I insisted I was fine; I had just had a baby. Finally, when they offered to check me out for free and insisted I looked really bad, I let them. I was quickly in a gown, on oxygen, given medications through an IV to protect my liver that was beginning to fail, given medications to lower my blood pressure that was 190/120, and being ambulanced to a larger hospital. I spent nearly another week in the hospital. Recovery at home took months. I was told that this is a "first-time mom" only disease and it would never happen to me again. During my next pregnancy, I developed preeclampsia again, milder, and my son was admitted to the NICU. I was in shock because I was told it wouldn't happen again. This is where I found out how undereducated doctors can be on the hypertensive disorders of pregnancy. During my third pregnancy I found the Preeclampsia Foundation and they informed me that I could find specialists called Maternal Fetal Medicine doctors who would be much more qualified to care for me. I did go on to develop preeclampsia in my third and fourth pregnancies and both babies ended up on ventilators in the NICU. But one thing was VERY different those times – I was finally INFORMED! I learned how to become my own advocate almost entirely because of the Preeclampsia Foundation. 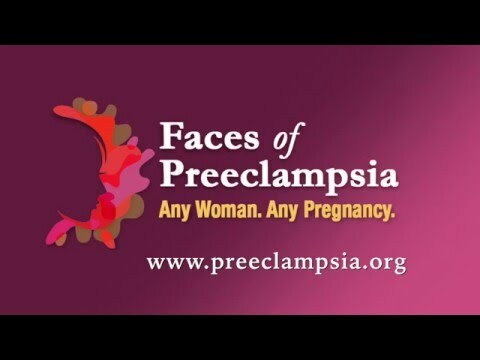 Preeclampsia has had a huge impact on my family and my health. I am now a chronic hypertensive, have permanent optic nerve damage, and other organs have been affected. I owe it to myself and my children but MOSTLY to my preeclampsia sisters who never made it home, to help find a cause and a cure for this disease! Why do you feel the Foundation's mission of patient support and education is so important? There are still SO many doctors alone who are so undereducated on the hypertensive disorders of pregnancy, that we need to work together as a community to ensure that women and their families aren’t blindsided by this disease like many of us were. We need to be our own advocates and teach other women how to advocate for themselves. Patient support is also critical. Women can feel isolated and not realize that there are plenty of families before them that have been there and understand what they're going through. It all comes back to community. We need to be there for each other. What does it mean to you to be awarded the 2015 Spirit of Giving Award? It is a humbling experience to receive the 2015 Spirit of Giving Award. I am a team-oriented person by nature. I love to see others succeed. There is so much negativity in the world these days, my goal is to encourage others and lift their spirits. I never thought I could receive an award for simply being kind and passionate about raising awareness for a disease that could have taken my life. It is very heartwarming to know that I have made an impact on people. What has been your most gratifying moment as a Foundation volunteer? Wow, this is a tough one. I'll never forget the amount of pride and accomplishment I felt when I crossed the finish the first year we did the walk in 2012. My daughter handed me my "I kept my promise" button and tears of joy poured down my face. I'll never forget that moment. Another great moment was when I found out that our local hospital I had been reaching out to for five years finally sponsored us. It felt like I had finally made them realize that we are a worthy cause that they should get behind. Yet, maybe the MOST amazing moment and most gratifying for me, was when I received a 7 am phone call from a woman I had educated about preeclampsia. I told her the signs and symptoms and urged her to go straight to the hospital if she experiences certain symptoms. During the phone call she said, "Brandi, it was just like you said. I didn't feel right and started having severe pain on my side. I know you said that's one thing that I should go straight in for and so I did." She ended up with severe preeclampsia and HELLP syndrome and delivered her one-pound miracle during an emergency C-section the same day. She thanked me for saving their lives. I hope to have our most successful Promise Walk to date this year! One of my biggest goals is to get more area hospitals involved. I want to build a presence in my local community to ensure families are aware of the signs and symptoms of preeclampsia so their treatment isn't delayed.